You’ve now got the secret that 95% of all other local businesses WISH they had to start driving customers to your business. 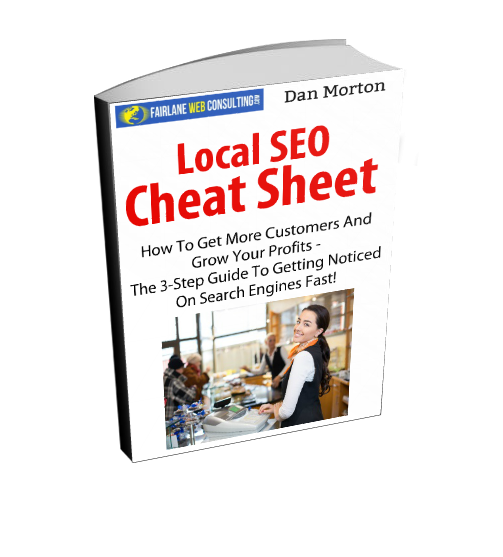 Take a few minutes to digest my report and you’ll learn EXACTLY how to leverage your website, Google Plus for Business and many other internet resources to help get your business on the map for local listings in your city! If the link is giving you a problem viewing, hover over the link, right-click your mouse and select “Save Link As” and save to your hard drive. Then, you can easily open it and devour! If you still can’t access the Cheat Sheet, please contact me HERE and I’ll deliver it personally to your inbox! I really hope that you read my report and take action. that’s the only you’ll get any benefit from my experience. I really want you to succeed. Any questions? Click HERE to contact and I’ll be happy to answer any questions you have.